- Limit one per post. - Can not post twice in a row. Feel free to expand with a description, review, or simply share the movie poster or name. What's most important is that the movie is shared and hopefully enlighten someone that's never seen it. 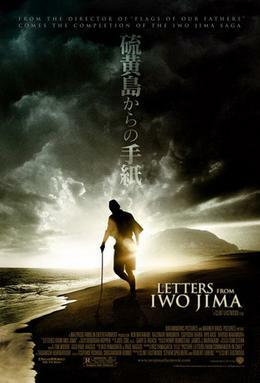 This movie is so epic and emotional , with a topcast , I hope ther is a mission based on The battle of Okinawa , it would be cool , if you dind't see this movie than do its worth it ! Re: Re : WWII Movies.. While much of this community is talking about the campaign and seeing parts of the war never seen before, this movie really took that idea all the way. It was focused around Japanese soldiers based in Iwo Jima and defending against the invading U.S. forces. Not only did it show a completely different side of the war from what we are all used to seeing, but it painted the Japanese soldiers in an sympathetic way. Never had the idea of "just following orders" been taken to the extreme with the Japanese army. If someone didn't follow orders they were killed or forced to commit suicide, while even the leaders on the ground showed that the highest levels of their military cared nothing for the loss of life, just sacrifice and honor. Finally got to see this movie. Definitely a deep one. A result of the war that I certainly didn't know about. Thumbs up. Really an interesting story about a side of the war we, especially in America, haven't heard much about. 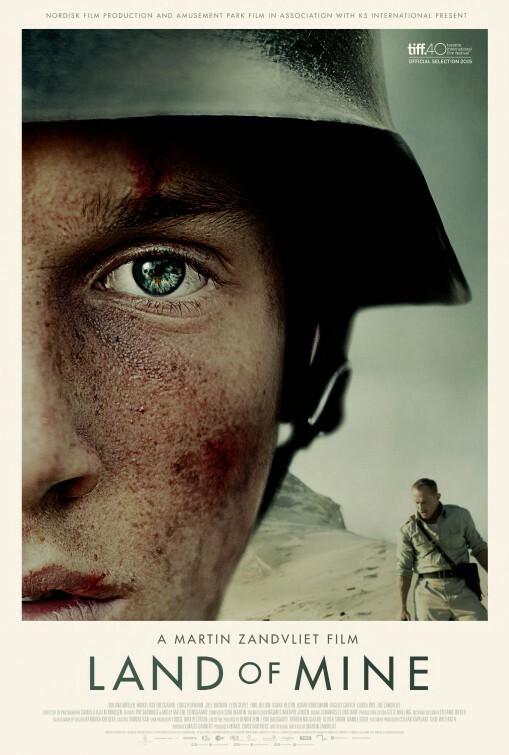 Follows Vassili Zeitsev (Jude Law) and his rise from an Unarmed private in the Battle of Stalingrad. The opening sequences showing the realities of the siege of Stalingrad by the overwhelming forces of the Germans and the extreme tactics of the Russian Leadership and the intense reality of serving in the Russian army, including shooting deserters in the back on sight and pairing unarmed soldiers with an armed comrade with the directive to pick up the gun if their partner fell. 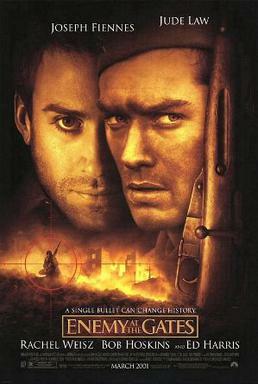 Zeitsev displays his prowess as a Sniper during the battle, and as friends with a Russian Propaganda officer played by Joseph Fiennes becomes the focus of a Russian Propaganda campaign to boost the morale of soldiers and the Russian people. Zeitsev targets German Officers, and the Germans fight back by bringing in Erwin Konig(excellently portrayed by Ed Harris), a sniper school teacher, to counter and hunt down Zeitsev. For anyone interested in history and sniper tactics, the movie is really fascinating. There is kind of a misplaced love story and love triangle with another soldier named Tania (Rachel Weisz), but it doesn't really derail the story. Pretty intense action and storyline, and a great appearance by Ron Perlman as Zeitsev's mentor and former student of Konig's. Thank you all for sharing. Some awesome movies listed already. When I first saw this movie, it dawned on me how much WaW made me feel a connection to the WWII genre. I was just more conscious of the time, space, and struggle.